The hardest thing about being an artist, based on my experience, is making money off your work. Especially if you’re not a full-time artist like me with little to no time to pursue an actual art career, self-taught, with no credentials whatsoever aside from your portfolio that’s piling up forever in your room or your own online social space. I know that for a long time, I’ve resigned myself to keep practicing my skills without making a single cent off of them (aside from very rare commissions from relatives and friends). But then I found out about websites like Society6.com and RedBubble.com and every single piece of artwork I produce now has the potential to earn real money–no matter how small. What are Society6 and RedBubble? Society6 and RedBubble are websites where you can upload your artwork for free, so the sites can print your design on various merchandise such as art prints, T-shirts, mugs, cell phone cases, bath mats, stickers, and many others. The sites themselves carry the cost of printing, manufacturing / sourcing the items, cataloguing them online, and shipping them to the customer, so the artist only gets a very small margin off the sale. Which means–and this is the most important thing to remember if you plan to use these sites–that it’s very likely you won’t get rich off your artwork if you solely relied on these services to sell your work. However, if you’re an artist like me who’s not even banking on making bank off their weekend sketches anyway–it’s a great way to possibly earn a little money on the side and to gauge whether what you’re producing is actually good enough to compete in the market or not. REMEMBER: Society6 and RedBubble are not substitutes to manufacturing your own products and distributing them yourself for maximum profits. This is still the recommended method if you have the time and resources to sell your work this way. How much money do I stand to gain from Society6 and RedBubble? Again–not much. In fact, since you’re competing against thousands of artists from all over the world (not just artists but also scammers who take copyrighted images and devise ways to get through the sites’ filters) with thousands of daily new uploads, your chances of selling anything are slim to none. The retail price of this particular piece is $28.79 at the time of writing but my margin was a tiny $3.00. Shocking? 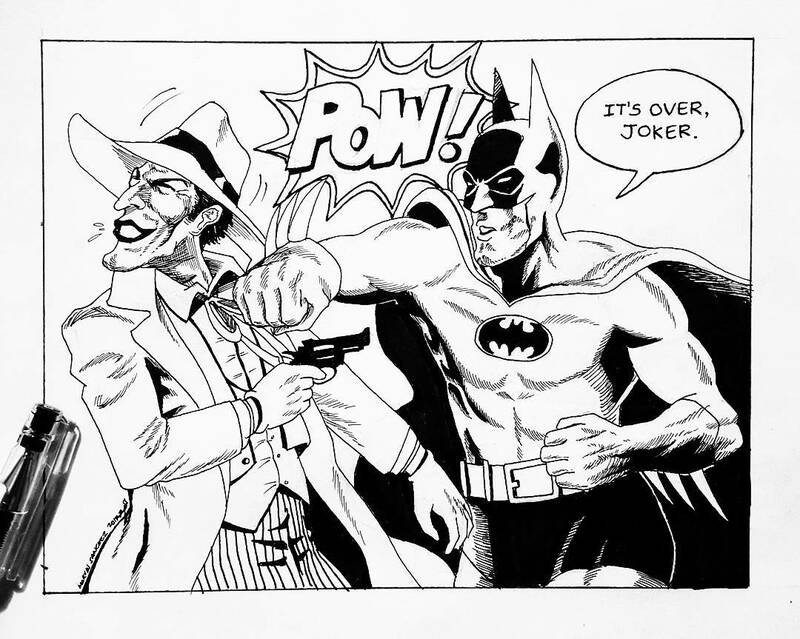 Well, considering all I did to sell this drawing was scan and upload the design, and that otherwise this illustration would’ve sat and accumulated dust somewhere and eventually get ruined, I was happy to receive my share. After 6 months of selling my designs on both sites, I have only earned some $15 out of 9 items, which include stickers, a bath mat, an art print, a poster, and a mug. I repeat–it’s chump change but before I got on these sites, all my drawings were earning me absolutely nothing. Which brings me to my point: what’s more valuable here is the feeling that you’re actually able to sell something for real. That your designs are out there in the world: worn by people whom you don’t know, used in their homes and in their daily lives. The feeling of having sold something–knowing that someone out there actually agreed with you that this thing you’ve created during your spare time after a long day at the office was really good to look at (good enough that it’s actually worth spending some hard-earned money on)–is EXHILARATING. Since I don’t rely on earnings from these printing sites as my primary source of income, I’ve found that that feeling has more value to me than the actual revenue–because every sale is a reminder that I’m an artist whose skills are strong enough to compete with the best in the world. What Sort of Designs Should I Upload on Society6 and RedBubble? Based on my experience, the customers who frequent these sites don’t necessarily want to buy mind-blowing artworks (these are not serious online art galleries, after all). The designs that get a lot of sale are of a functional kind–meaning, those that would look good, say, as a duvet cover, as a pillow sham, on a tote bag or on a purse. I’m not saying that your detailed drawing of the Justice League doesn’t have a chance to sell but I’m saying that a whimsical design of cute, fluffy llamas would probably have more customers because that would look better on home items. How to Sell More On Society6 and RedBubble? While I’ve repeatedly said that it’s unlikely you will make a lot of money off Society6 and RedBubble, your revenue will still depend on your skills as an artist and a marketer. I have read a few stories of people who have been able to earn significant income off their designs on these sites, so it is possible–just extremely hard. So what can you do to increase your chances of selling? Start with good keywords and tags — Both sites let you enter keywords and tags that help site visitors find your work. Make sure you’re using tags that people would actually type into a search box if they were looking for a particular design. 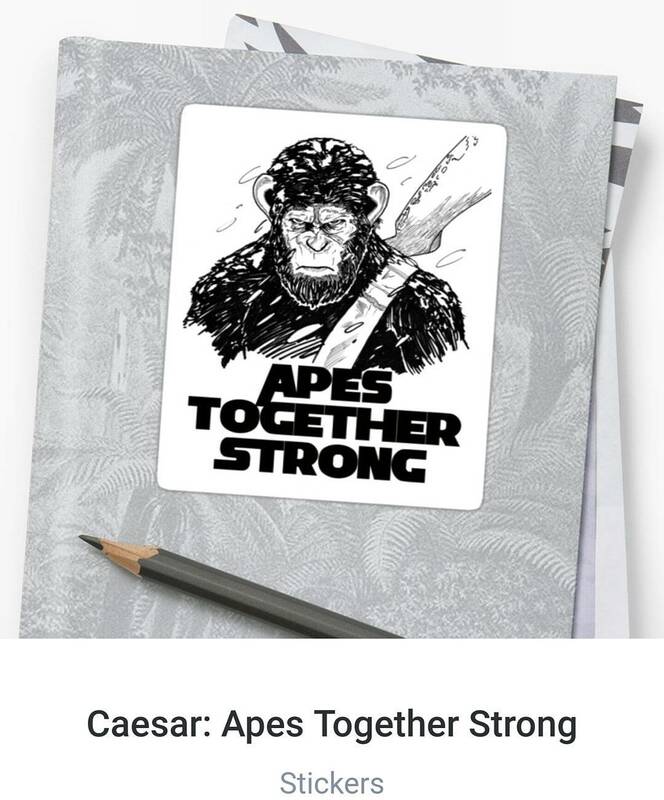 For example, if you’ve got a drawing of a gorilla, maybe you should also include the tags “monkey” and “ape” and “Caesar” because these are related to what you drew. I would say I rely on keywords and tags (for digital marketers out there, I guess you could call this search engine optimization or SEO) 98% of the time to make a sale, which means I let my visitors find me because I don’t have time to chase after them. Market your store or brand — Like I said, I don’t do this aggressively but if you’re serious about trying to sell your work on RedBubble and Society6, better put your marketing cap on and get to work. Post your products on your social profiles, participate on forums and online groups that help artists get more sales, and basically get the word out that your designs are for sale. This takes time and patience, so make sure you have plenty of both. Learn the internal promotion systems of RedBubble and Society6 — These sites have created their own systems to help artists promote their work and learning them would help your artworks get more “airtime” in their extremely competitive catalog. On Society6, for example, liking and commenting on other artists’ work and following their profiles could also get you more likes and follows from the site’s community, which supposedly makes their search algorithm better favor your designs. RedBubble, on the other hand, have artist groups where you can share your designs for other artists to see. I personally haven’t given up on trying to increase my “passive income” from these sites. My personal marketing strategy is to cover the geek segment and provide them the pop culture images they’d like to surround themselves with (because as a geek or nerd, I want the same for myself). Hopefully, my sales would shot up soon but even if they don’t, just knowing that my pastime is earning me something on the side and making some people happy is already enough to inspire me to create more art. The POD’S (print on demand) sites are the ones making the money, not the artists. As you say the artist share of retail price is small, usually between 10 and 17 percent. If you consider that everything from manufacturing to distribution is taken care off 10 to 17 percent isn’t bad. And why not, it gets your work out there like you said. Yeah it isn’t bad if your primary reason for doing it is just to get your art out there. There are artists like that who don’t care as much about the money. Of course if you’re really serious about making money off your art, print on demand sites shouldn’t be your only strategy. You should still have something that gets you the most profit and print on demand sites are just supporting channels.